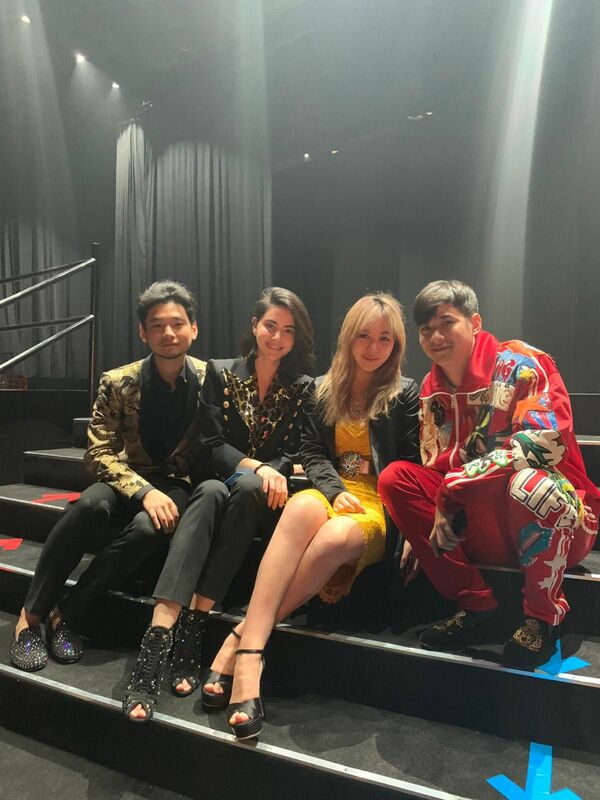 “This could possibly be an experience of a lifetime!” quipped 22-year-old Chloe Ng, the first-ever Singaporean to be asked to walk the runway for Dolce & Gabbana’s The Great Show. I've been flown up to Shanghai for Chloe's debut, and to write this exclusive story, which has turned out to be quite different from what we both expected. The lights were set, racks were ready, but everything caved in during the final hours of the show today. Here's what happened—as told to me by Chloe. “Fittings for the show! Stefano Gabbana pins me up in this gold ensemble. It's stunning." “Fixing my lippie! Excited because I am heading straight for rehearsals for #DGTheGreatShow in a few hours." “Note to self: always make a right turn at every point!"